I have been wanting a big girl tutu for months! I even bought all the supplies to sew my own. 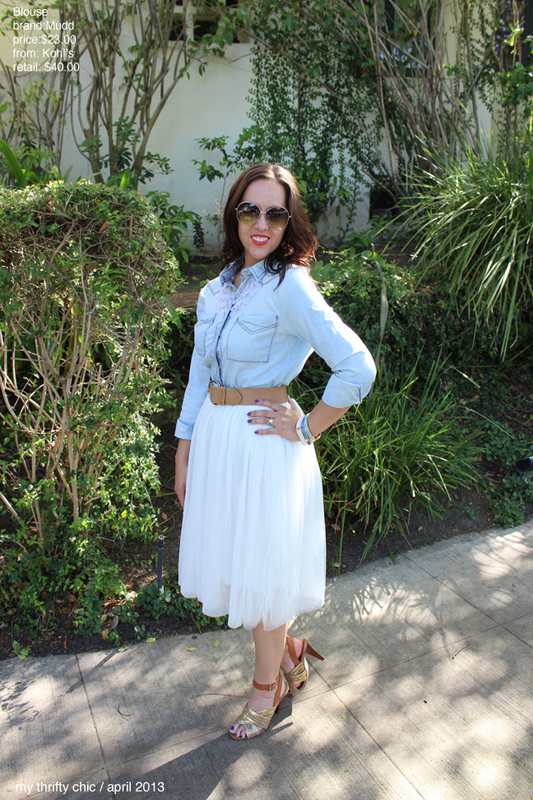 After that epic fail, I found a plethora of tulle skirts on eBay. Who would have thought? Well, I guess that is my bad, because if you can't find something on eBay or Google, it probably doesn't exist, lol. 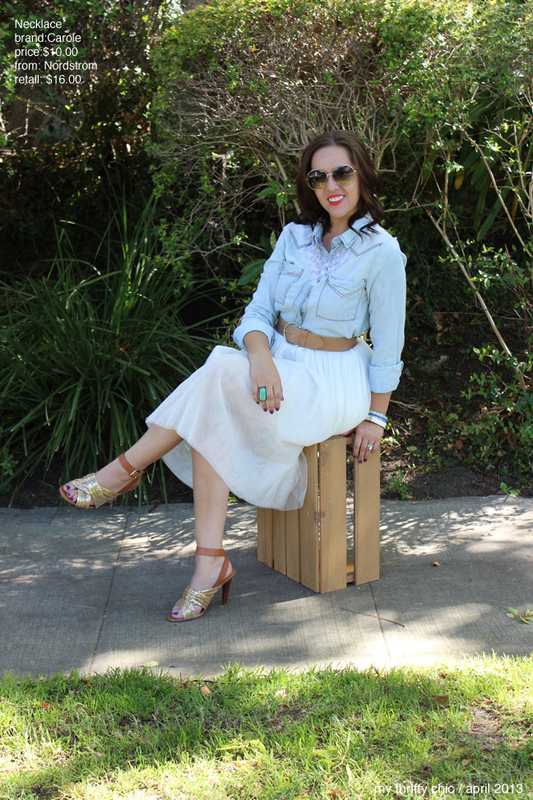 I love this skirt because it takes me back to childhood, and makes me feel like a ballerina. 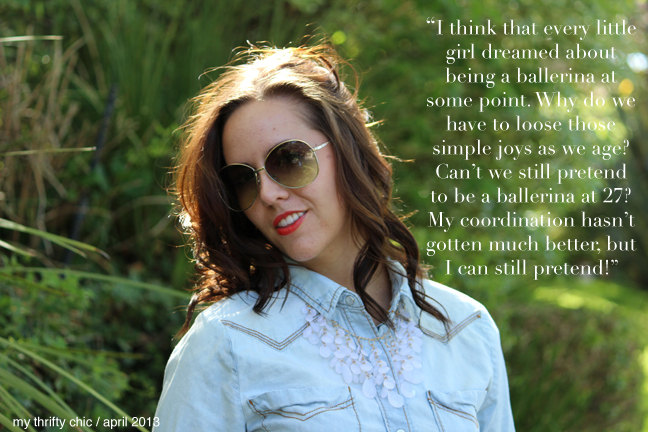 I was never very coordinated, so being a good dancer was never an option. DON'T MISS OUT ON YOUR CHANCE TO WIN A $500 VISA GIFT CARD! 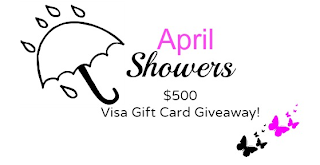 IF YOU HAVEN'T ALREADY ENTERED TO WIN, HEAD OVER AND REGISTER FOR OUR APRIL SHOWERS GIVEAWAY!! So pretty, I love the photos, skirt, heels and top.. so everything! Those sunnies too! I want a tu-tu!! Love this look Tori! That skirt is heavenly. I was researching tulle skirts months ago on Ebay and they were all very expensive but this price point is right up my alley. I'm heading there now. And good luck on your job search too; some people really don't know how blessed they are to even have employment these days. <3 it! 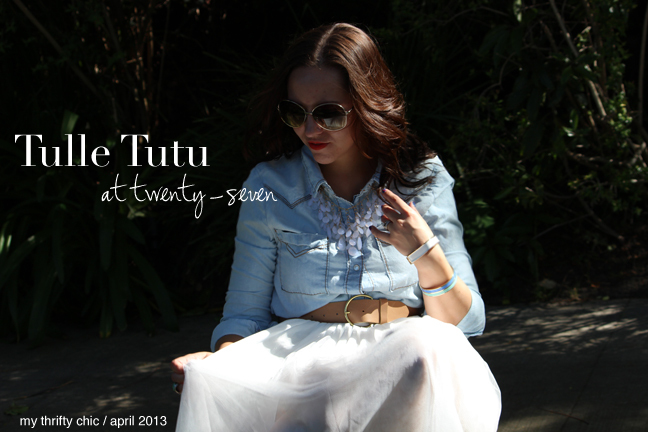 Anyone can wear a tutu...you are never to "old"